First Metropolitan United Church Victoria Bc Corner Of Quadra And Balmoral is a mixed media by Viet Tran which was uploaded on January 13th, 2010. 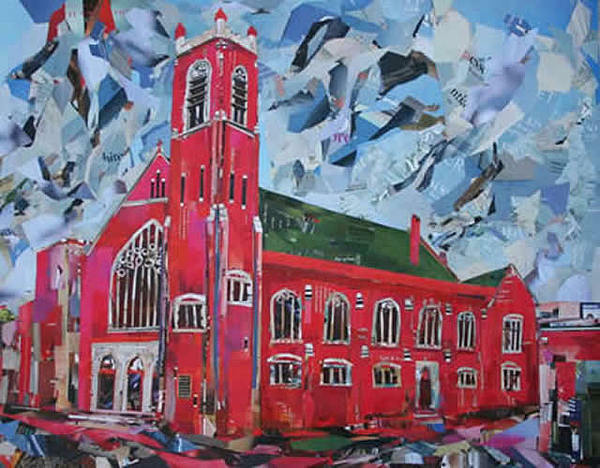 First Metropolitan United Church Victoria BC corner of Quadra St. and Balmoral Ave.
100% paper collage - not mixed media. Love the vibrant colors.......another winner! Yes, great beauty of depth.